person posted at the bottom of the mountain? Also, unicorns. 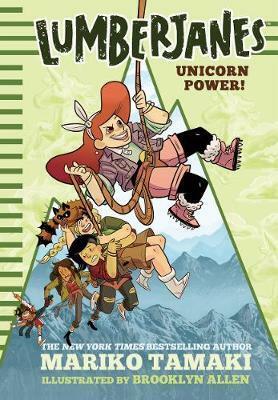 Lumberjanes characters into a novel format with brand-new adventures.